Former IDF Chief of Staff Gabi Ashkenazi said that despite the increased risk of terrorism, Israel is much safer today than it was in 1967. At a conference Wednesday evening, former IDF Chief of Staff Gabi Ashkenazi said that despite the increased risk of terrorism all over the world, Israel is much safer today than it was in 1967, when the Six Day War broke out, allowing Israel to liberate Judea, Samaria, and Jerusalem. While Hamas and Hezbollah, the terror groups plaguing Israel in the south and the north, were formidable enemies, they were much less of an existential threat than the armies of Egypt, Lebanon and Syria. Ashkenazi was speaking at a forum at Kinneret College discussing the Six Day War in Tel Aviv, in an event commemorating the 90th birthday of the late Israel Air Force Commander and President Ezer Weizmann. During that war, the Israel Air Force was able to do a very effective job in destroying enemy targets before they were able to reach Israel's heartland. Military technology held by Israel's enemies at that time did not allow them to target Tel Aviv and other cities in the center of the country as Hamas and Hezbollah have been able to do. 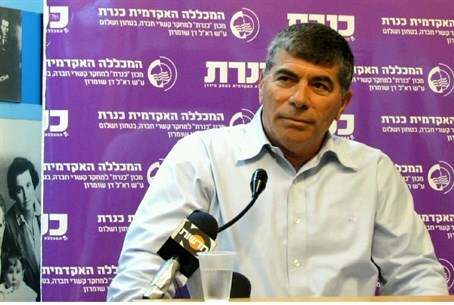 S“I do not say that the rockets and terror tunnels the terror groups dug are not a threat,” said Ashkenazi. “But unlike in 1967, Hamas is not able to conquer the Negev, and Hezbollah is unable to conquer the Galilee.” Had things gone differently during the Six Day War, Israel's very existence would have been jeopardized, unlike in recent wars with Hamas and Hezbollah, he said. “The main concern we have today is home front security,” Ashkenazi said. “To defend the interior there needs to be coordination between the air and land forces. As we saw in the Gaza war this summer, the IDF is reluctant to use its land forces because of the high number of casualties in civilian populations in attack area,” a result of the terror groups' embedding their terrorists in civilian areas. To avoid this, the IDF relies on air power for pinpoint bombing of targets, but this is not necessarily a model that has proven itself. “You have to realize that you cannot win a war with F-16s, and that land operations are necessary,” Ashkenazi added.